As part of the ongoing Scan Pyramids project, an international team of researchers has spent the last two weeks looking for hidden passages and cavities inside four of the oldest Egyptian pyramids. Armed with a host of incredibly advanced technologies, the scientists have detected a series of baffling anomalies on the eastern part of the Great Pyramid of Giza. 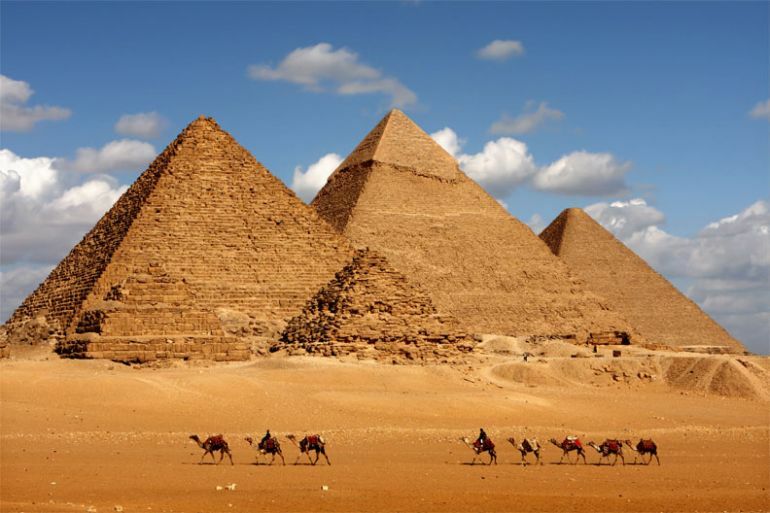 According to Mamdouh Eldamaty, the Minister of Antiquities and Heritage in Egypt, the discovery may suggest the presence of voids within the pyramid, although concrete evidence remains elusive. The project, which commenced at the beginning of November, is the result of a year-long collaboration between the Faculty of Engineering at Cairo University and Paris-based nonprofit institute Heritage, Innovation and Preservation (HIP). Conducted under the supervision of the Egyptian Ministry of Antiquities, the research will be supported by scientists, architects and engineers from Japan, France and Canada. 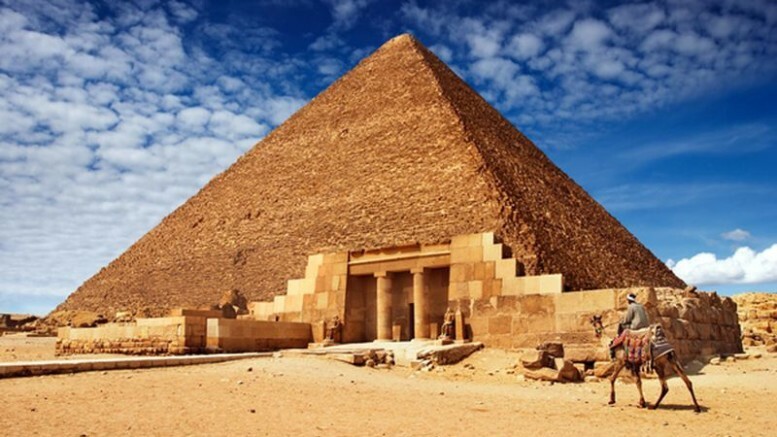 It relies primarily on the use of highly-specialized non-invasive technologies, such as thermal imaging, muon tomography and drone-mounted scanners, to search for voids and cavities inside the pyramids. This anomaly is really quite impressive and it’s just in front of us, at the ground level. In cooling phase, the heat transfer is usually happening from the inside to the outside; while in heating phase, it is the opposite. Structures that are homogeneous, i.e. built using blocks of the same material, usually have uniform “heat emissivity”. In such cases, thermal differences remain constant, and are devoid of any major spikes. By contrast, heterogeneous objects – basically those possessing cavities or constructed using a combination of different materials – exhibit significant disparity in thermal differences. This is because certain parts of these structures tend to heat up or cool down much faster than the other parts, thanks to differing heat emissivities. This anomaly is impressive and obvious. We have several hypothesis but no conclusion for the moment… We need now to build models and thermal simulations to test different hypotheses in order to understand what we have found. For further analysis, the researchers will conduct in-depth infrared survey of the pyramids, starting from next year.